Mohammed bin Rashid Space Centre (MBRSC), concluded its participation as the foundation partner of the second edition of the Global Space Congress, which took place over three days in Abu Dhabi, from 19 to 21 March. The conference highlighted advantages of the global space economy and opportunities for its development and growth. MBRSC discussed key developments of the space sector in the UAE. Eng. 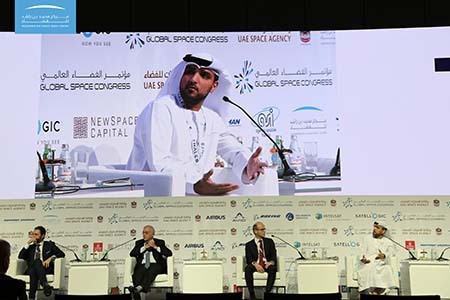 Salem Humaid AlMarri, Assistant Director General for Scientific and Technical Affairs at MBRSC, highlighted that the UAE is the first Arab country to host the International Astronautical Congress (IAC 2020), the largest specialised conference in the space sector worldwide. MBRSCs speakers took part in sessions discussing a range of topics related to space. The topics included policies and strategies, major space projects, the latest technologies in space exploration, ways to prepare qualified Emiratis to lead the sector, promoting the development of space technology, as well as analysing and developing commercial space strategies. In the first session of the first day, Amer AlSayegh, AlGhafri, Senior Director of Space Engineering Department at MBRSC, spoke about the possibility of developing multidisciplinary models to expand the space ecosystem and opportunities for the transfer of space technology. In the second session of day one, Omran Sharaf, Project Director of Emirates Mars Mission (EMM), discussed the real challenges facing the future of mankind in space, as well as space technologies and innovations that will have a real impact on earth and ways to use them effectively. 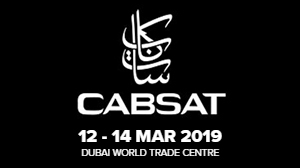 The second day included a panel discussion by Adnan AlRais, Director of Remote Sensing Department and Mars 2117 Programme Manager, where he discussed innovation in the space sector through cooperation between satellite operators and governments. Mohammed AlHarmi, Director of Space Operations, stressed MBRSCs efforts in building national capacities and developing their skills to enhance the space sector, ensuring the preparation of graduate students with the necessary skills, and the role of MBRSCs partnerships with public and private educational institutions. Day two ended with a session by Saeed AlMansoori, Head of the Applications Development and Analysis Section (ADAS), who discussed the importance of satellite ground station monitoring and control, and major applications related to space technology. On the third day, Ayesha AlMulla, Corporate Communications Officer, focused on inspiring youth and encouraging them to enter the field of space, by highlighting scientific and educational initiatives and projects by MBRSC that contribute to raising awareness about the importance of space in achieving a knowledge-based economy, through various media channels. MBRSC also signed a Memorandum of Understanding (MoU) with the National Space Science Agency of the Kingdom of Bahrain (NSSA), on the first day of the conference, to exchange information and data in satellite imagery, space research, and capacity building.